$100 is the sweet spot for getting a pair of quality earbuds without breaking the bank. And if you’re in the market for a pair, you’ve come to the right place. At the time this article is being written, there are quite a few holidays aren’t the corner. We’re constantly searching for interesting and stylish gifts for our loved ones. Any of the products we’ll be getting into below might be the way to go! Quality headphones aren’t just for musicians and high-end studios; almost everyone these days enjoys zoning out to their favorite music or tuning in to a good movie or TV show. But not everyone is willing to treat themselves, which is why $100 is a very affordable, justifiable price for a great product. You undeniably get quality sound. $100 is right where the build gets good – metal housings, Kevlar, high density plastic material. It’s all more stylish and safer for your audio equipment and lifestyle. Tons of accessories are already included, so you don’t have to go shopping for extra ear tips or a carry pouch. This point also makes unboxing a lot of fun! There’s a huge variety on the market, from wired to wireless, sports and exercise specific to listening in on specific genres. Features from the audio brand’s exclusive and premium earbuds are also included in their earbuds priced under $100, enabling you to enjoy best of both worlds without breaking the bank. These days technology has advanced to the point where with just your earbuds and smartphone you can listen to exquisite sound. #1. Brand: Usually I don’t include this point when choosing headphones over $100, however when it comes to cheap but good earbuds under $100... the band is already filled with tons of cheap stakes that are sold are way too high price. Even the sellers selling these products on Amazon.com are so uncanny that they buy reviews gigs from people at Fiverr... that give them high rating and good reviews tricking the buyer into buying something not worth the price. Most of them as we know have rubbish sound, poor built quality and damage our ears. Hence make sure, the brand of earbuds you’re choosing has some reviews on the Internet, Youtube, has their own website... moreover if it has Wikipedia page of their own... then you can very well be rest assured. #2. Type of Earbud: If you’re searching for the Best Earbuds under $100, you’ll find a lot variety meant for various purposes. Some are just simple noise isolating in ear headphones, some are meant for gym use, some of them have ear hook design, and some of them are wireless Bluetooth headsets. Hence before zeroing on anything, just make sure the type of in ear monitors you want to buy and then search accordingly. I’ve seen a lot of people who are on searching spree on Amazon.com that get blinded by awesome star ratings and lavish video reviews that they forget what kind of earbud they actually wanted. And when the earbud arrives at their price... they’re technically bombed by their own haziness and I don’t that you happen with you. Before you do your search... on a paper write down the different things you want from your earbud and use then search accordingly. #3. Inline Microphone: I personally don’t prefer earbuds with inline microphone as I do feel the weight of microphone making the left earplug slight heavier. Even the quality of such microphone is just average making the other person have hard time listening your voice. So it doesn’t matter, if you buy the best Earbuds under $30 or Best Earbuds under $100... the inline microphone quality is generally the same. However it definitely has great uses... you can control your music via buttons on the microphone, receive/end calls, change tracks and fast forward your music too. Most people wouldn’t buy the Best of the Best Earbuds under $100 that I recommend them; if it doesn’t have inline microphone. That’s how important it is to some people, if you’re one of them... search with the inline microphone filter on. simple, but the simplicity pays off. These earbuds look professional and don’t fall out as easily as others. Where it gets interesting is the clear outfitting of the earbuds that allow users to see the innards of the SE215-K. The design comes straight from Shure’s $1000 SE846-CL earbuds. If you’re looking for something a bit more unique, Shure also has a special edition of the SE215-Ks in a luminescent blue. They’re $30, so it’s up to you whether the pop of color is worth the price. Included with the earbuds is a small padded carrying pouch, three pairs of silicon ear tips, and three pairs of foam ear tips in small, medium and large. Keep in mind that they only go behind your ears and you can’t wear them like you’d wear standard earbuds (inconvenient for anyone with glasses). Check out the complete details by going to the review of the Shure SE215s. We’ve also featured these earbuds in our guide for best headphones for rock music. They have an impedance of 20 Ohms at a frequency response of 22Hz-17.5kHz, and also provide noise isolation of 37dB. If you’re not aware of this newly popular brand called Mixcder, you can check out our article about Bluetooth headphones under $50 where we’ve mentioned other products from this brand. Though the company is fairly new, they’re already carving out a name for themselves when it comes to producing affordable audio products. Before we get into the specifics, we want to mention that the Mixcder ANC-G5 is an active noise cancelling earbud, and it’s the only ANC earbud on our list of in-ear headphones under $100. The box comes with a user manual, the earbuds, a USB charging cable, and two extra (medium and large) ear tips. It also has a rigid zipper carrying pouch as well. Since it’s an ANC earbud, it comes with noise canceling wizardry - the circuit runs on battery; hence the charging cable. When it comes to design the Mixcder ANC-G5 has an extreme angled ear tip and a Bowers and Wilkins C5-like design. To be honest, there’s nothing fancy about it; however, the construction is extremely solid and can stand a few falls. The bulky noise canceling circuit also houses the inline microphone. It has a call receive/end button and noise cancelling on/off switch below it. Images may not do justice to the Mixcder ANC-G5; especially as it comes in grey and not black, and most photos show. When it comes to sound quality the ANC-G5 offers plenty of bass and hard hitting treble. Once you switch on the ANC feature, there’s a slight amplification in sound and reduction of outside frequencies. Bose is a brand synonymous with premium and reliable audio products and superb sound quality. Unlike brands such as Dr. Dre or Monster, Bose doesn’t sell products at unreasonable prices; they want their customers to be able to afford elegance and quality. And at just under $100, the SoundTrue headphones are a steal. There are two version of the SoundTrue: one as an over the ear headphone and the one that we’ll be discussing is the in-ear version. The in-ears come in black, white, cranberry, ice blue, and indigo. Beyond these variations, there are actually three different versions of the SoundTrue headphones available. You can choose headphones without a mic, one with a mic for Samsung phones, and one with a mic for iPhones (this last one is $30 more). The earplugs have an angled design, allowing them to adjust according to the cavity of your ears, and the ear tips have a wing-like tucks up against the curve of your ears. The fit makes it hard for them to fall out, so they’d be great for a lot of movement and activity. We’ve already had quite a few options with the SoundTrue line – just the headphones themselves! But they actually come with a shirt clip and two extra pairs of ear tips as well as a rigid carrying pouch, similar in size and design to a men’s wallet. The color of the case can be personalized if you wish to fit the color of the earbuds. "I just can’t think of any person for whom the Bose SoundTrue are not suitable for. They’re perfect for any kind of gender, emerging from any age group. Since they’re so fine looking and come from a premium brand, it would make them the Best Earbuds under $100 for gifting purposes, what say?" If you look back at older posts on this site, you’re bound to find at least one product from Brainwavz on our lists. Brainwavz is one of the brands that offers significant sound quality at a dirt cheap price, which is why we’re featuring the immensely popular Brainwavz S3 on our earbud list. 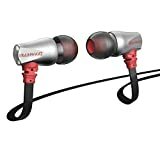 To justify the price, Brainwavz S3 earplugs come in metal housing, whereas the inline microphone and 3.5mm connector jack have rubberized housing. Cables on the Brainwavz S3 are flat and have a tangle-free design, which we’re sure you know will cut down on frustration. All metal housing in an in-ear headphone design with special finish to give a smooth, slick feel. The all metal housing, that has been meticulously crafted, is sleek and durable. Included with the earphones are premium Comply foam eartips and Brainwavz signature earphone carrying case. The inline mic has three buttons for volume up, volume down, and receive/end call. The S3 offers 8mm drivers with an impedance of 16 Ohms and a frequency range of 16Hz – 22,000Hz. Since they’re larger than standard earplugs the company claims that the S3 has a wider soundstage with accurate sound reproduction. It’s definitely a bang for your buck product, making the Brainwavz S3 a tempting option. "With a wide soundstage and excellently designed earplugs with tangle free design, Brainwavz S3 definitely deserve to be in our list of Best Earbuds under $100 as there’s so much on the offer at such a nominal price." Their KickStarter campaign gained traction as the brand was providing professional earbuds at an affordable price, which was obviously something that consumers were craving. They launched three earbuds: Hyperion, Techne, and Delta – we’re going to take a look at the latter. The reason why we’ve featured Trinity Delta on our list of best earbuds under $100 is because just like the RHA ﻿﻿﻿﻿T10i, the Delta features 3 separate tuning filters that allow users to physically change the sound signature of the device. MERGING BODY WITH TECHNOLOGY: Engage TRINITY DELTA Device And Stream Any Audio Data Directly To Your Ear, Pair Our Earpiece With Any Bluetooth Capable Gear And Experience Direct Two Way Audio Connection. ENHANCE YOUR LIFE EXPERIENCE: Let Our Technology Make You More Capable And Free ! TRINITY DELTA Will Allow To Stay Connected And Receive Audio Data Totally Hands Free, Always Easy, Always Perfectly Integrated With Your Body. DISPLAY THE ART OF TECHNOLOGY: We've Integrated A Universal Fractal Pattern To Our Design, So You Can Feel The Beauty Of Technology That Becomes A Part Of Who You Are. Unite Yourself With The Sacred Geometry And Change The Way You Interact With The World. REALITY OF HD SOUND: Our Device Is Armed With A Smart cVc Noise Suppression, System That Measures Ambient Sounds And Generates An Exact Negative Sound Wave Directed To The Audio Stream. A Built-In HD Microphone Provides Fully Live-Like Experience. FEATURES AND COMPONENT FUNDAMENTALS: 3.7V 45mAh Lithium Polymer Battery, Bluetooth V 4.1, cVc Noise Suppression, 10m Transmission Distance,60 Hours Standby Time, 4 hours Talktime, 2.4GHz-2.48GHz Frequency Range, Only 1 Hour Charging Time ! Fun: This filter is specifically meant for bass heads, as it gives a boost to the lower frequencies, allowing you to enjoy bass-heavy song. Smooth: For people who swear by flat frequencies, allowing them to enjoy the intricate details in a song, this is the preferred filter. It’s a great fit for any genre. Vivid: This tuning filter gives a boost to the trebles and tends to lean more on playing jazz, rock and metals songs with ease. The Delta is a money saver when it comes to these filters, as the RHA T10i – a comparable product – costs $100 more. The Trinity Delta package includes: a triangle hard shell carrying case, five extra ear tips, a shirt clip, a 90 degree headphone adapter, and a few tuning filters. This product has a high-quality, superior build with the earbuds housed in metal. The entire cable length of the 3.5 mm headphone adapter is braided plastic – durable and comfortable. Check out our full review of this product here. "If you’re bored of listening and trying the same old earbuds and want the best sounding earbuds under $100, then I’d highly recommend going with the Trinity Delta. You just won’t be disappointed." What makes the Fiio EX1 special? For starters, it’s incredibly well-built and durable. It also comes with a nanotech titanium diaphragm that produces great sound close to neutral sound output, which is going to be worth more than the price consumers are paying. Unfortunately there is no inline microphone, which can be an issue if you’re looking for one, but to overcome this issue you can check out other earbuds on our list with this feature and skip the EX1. CNC milled non-resonant full metal body construction, with anodized duralumin for the back half, and stainless steel for the front half. Ergonomic offset nozzle design, with small rounded on-ear driver housing and shallow in-ear nozzles, ensuring long term wearing comfort. High purity OFC copper, intertwined with 250D Kevlar fiber strands, ensuring superior sonics as well as great strain resistance and longevity. We also want to mention that the Fiio EX1s are rebranded earphones from Dunu called Titan 1, and Fiio has kept the originality intact by not removing the Dunu branding from the earbuds. To keep prices low, the company ships these earbuds in a pretty basic box that holds the product themselves along with a long list of accessories; a rounded rectangular case, plenty of ear tips of all shapes, sizes, and materials, a shirt clip, and an instruction manual. 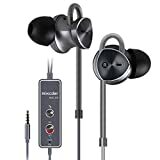 For people under budget the package simply offers the best accessories in its class after the series of earbuds from Soundmagic and Brainwavz. Fiio recommends the EX1 works best with Fiio’s own high resolution music players such as the Fiio X1, and we agree – but it does work well with smartphones as well. Onkyo is an established Japanese brand that caters to the luxury audio segment and is known for manufacturing products like high-quality A/V receivers, home theater systems, and plenty of portable audio devices as well. 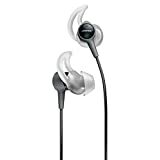 The E700MB/27 is one of the best designed in-ear headphones on our list and gets full marks when it comes to quality build. As expected, the earbud housing is made up of aluminum and supports high-resolution audio at an affordable price. The earbuds are semi-closed with a design somewhat similar to Sony’s MDR-XB50s. The small grille at the top of the device helps with proper air flow and adds to the performance of lower frequencies as well as accentuating bass performance. The housing has an angled ear tip, and the package includes plenty of silicone ear tips of varying size along with a pair of Comply foam ear tips. It’s surprising that Onkyo decided to go with a twisted wire cable design often seen on cheaper earbuds as they obviously strive to represent luxury. But this design choice doesn’t throw off the overall vibe of the earbuds. The E700MBs come with a decent control pod that houses the inline microphone and contains call receive/end buttons as well as the play/pause button. They’re also extremely comfortable to wear. The earbuds contain 13.5mm drivers that can produce larger level frequencies and can go as low as 6Hz and as high as 40kHz. They offer a crisp sound for costing just under $100. Check out the full review here. We want to be honest about Noontec and the range of headphones they’ve produced – at first glance, they look like knock-offs trying to imitate Beats by Dre. But we were surprised to find that online reviews are all great, and major tech reviewers have spoken up in support of the company as well. After trying the products ourselves, we were blown away by the sound quality that the earbuds offer for such an affordable price, which is why we decided to feature them as #1 on our list. HIGH PERFORMANCE AUDIO. The Rio S earbuds features Noontec's high-end SCCB acoustic technology and the newest Votrik HD100 10mm drivers. It delivers rich, high fidelity sound that beats any other similarly priced $100~$200 earbud set on the market. COOL AND COMFORTABLE EARBUDS. The cavity of the Rio S is made of firm copper-aluminum alloy that provides excellent sound quality and is solid and durable. In particular, it can make your ears feel cool, so you can enjoy your musical journey for a long time. AMAZING COMFORT FOR PROLONGED WEARING. Its structure is specially optimized to better fit the contours of the ear canals. In addition, the earplugs are made of soft, skin-friendly materials. In short, the Rio S is much more comfortable to wear than you can possibly imagine; so comfortable that sometimes you can't even feel its existence. You can wear the Rio S comfortably for over 5 hours. HIGH COMPATIBILITY. The Rio S is equipped with the wire control functions and a highly sensitive microphone. It's widely compatible with iPhone, iPad, Samsung Galaxy and other Android mobile devices. TOP OF THE LINE QUALITY. The flat TPE audio cable with high elasticity prevents any twisting, while the 24k gold plated connector and OFC oxygen-free copper cable ensures lossless audio transfers. It also comes with a nice hard carry bag. Judging by the images the Rio S looks cheap and like they might be made of plastic. But they’re actually made of metal. The cable is flat and of a tangle-free design. At a length of 1.2m and frequency response of 12Hz – 24,000Hz, it offers a wide soundstage for better hearing of sound response. The earbuds house 10mm Dynamic Votrik HD100 drivers that offer excellent audio quality and balance sound through lows, mid-ranges, and highs. The one thing we’re disappointed with is the inline mic, as it only has one button to end/receive calls and no volume control. The package looks more high-end than the product itself, which has us wincing, but it comes with a hard shell carrying case and four pairs of silicon ear tips. If you’re not worried about appearing stylish when out and about, the Rio S is a product of amazing quality at the best price on our list. "Noontec Rio S are definitely a one of a kind best earbuds under $100 that offer an uber look along with great design and durability, allowing them to be taken wherever you go. If you’re looking for an earbud that does complete justice to all kinds of music genres, then this is it." If you’re in the market for earbuds under $100, then you’re definitely spoiled for choices. 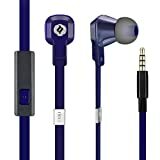 There are a variety of earbuds available from popular, established, and unknown brands, all ranging in features and quality. Our list has been curated to provide you with alternatives to the big, expensive brand names such as Sony and Skullcandy. If you happen to get the chance to compare some of the products here to others offered by these big brands, let us know what you think!